Tumblr is a great blogging platform and social network in itself and the Tumblr tags are wonderful for post discovery. Unfortunately, not everyone knows exactly how to tag their posts so they get seen by new potential followers. If you're looking to increase your Tumblr following, get more likes, have more people reblog your stuff and just get your blog out there, then you should be tagging your posts with the tags that lots of people are looking at. 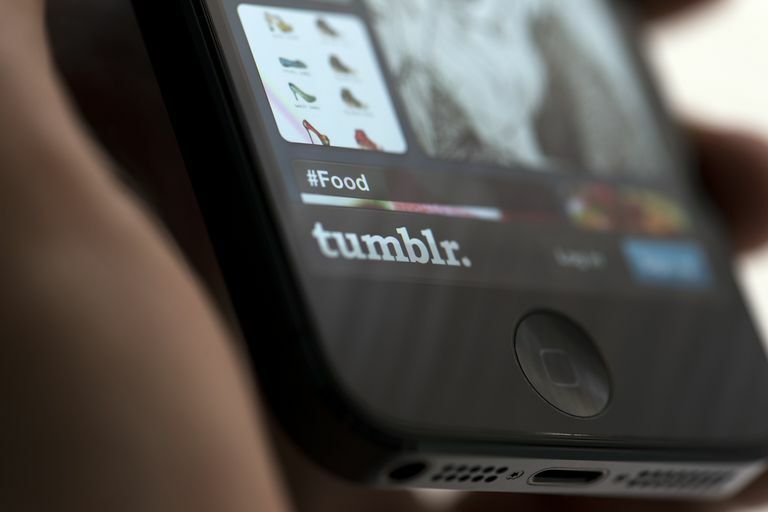 The following list features 10 of the most popular Tumblr tags to check out. These tags are continuously being updated with great content, and you can be sure to get at least a bit of action on your own posts (as long as they're good) if you tag them with these too. Is it any surprise that most of us go online to find stuff that makes us laugh? No way! The LOL tag on Tumblr is usually the number one most used tag. This tag is always full of the latest memes, news, photos, web comics and GIFs that are nothing short of hilarious. If you have something funny to share, be sure to tag it with LOL. Since Tumblr is completely dominated by highly visual content, style and fashion photos are a huge trend. Searching through the fashion tag will show you everything from model shoots and formal wear, to casual outfit ideas and men's clothing. Again, because Tumblr is best suited to visual sharing, its users really enjoy sharing anything that's colorful, eye-catching or inspiring. A lot of artists use the platform to share their creations, including sculpture, graphic design, photography, painting and much more. The popular DIY tag displays another very artistic and creative side of Tumblr–featuring content that shows people how to actually do stuff. Check out this nifty Tumblr tag for cool do-it-yourself projects and tutorials on sewing, woodwork, cooking, crafting, home decor and any other creative interest you may want to explore. Have you ever so much as glanced at a well-photographed picture of a meal or a dessert only to instantly develop an intense craving for it? Well, that's exactly what it feels like to browse through the Tumblr food tag. You'll find a lot of great recipes here, and you may find it a bit difficult to control your hunger while browsing through this one. In the landscape tag, you'll find a lot of great nature-based photos and of course GIFs featuring gorgeous grasslands, mountains, forests, lakes, rivers and lots more. Some of them are professional photos while others may be shared by the photographers who took them. Either way, you're sure to find a great escape from urban life by browsing this tag. Here's another popular tag where people with real drawing and illustrative talent can show off their works of art. If you want an artsy tag that separates all the paint and sketch-related art from the stuff like photography and sculpture, then this is the tag you need to look at. Sometimes we just really need a fix for a nostalgia from a time when the internet didn't even exist. You can look through the vintage Tumblr tag to see photos of old cultural trends, cars, fashion, hairstyles, celebs, movies, news stories and so much more. In the design tag, you're likely to see a combination of home decorating or architectural photos along with content related to graphic or web design. Of course, there are lots of other creative works of art that are often scattered in there as well. This is the tag you need to look at if you love art with text and meaningful messages conveyed through them. They say a picture is worth a thousand words, but there's something super special about the ones that have words and phrases built right into them.